While motorized awnings are a bit more of an investment than ones that aren’t retractable, they offer more functionality, which can make them well worth it throughout the year. And they can be installed in all the same places as regular awnings, such as the front porch, patio, deck or over garage doors. 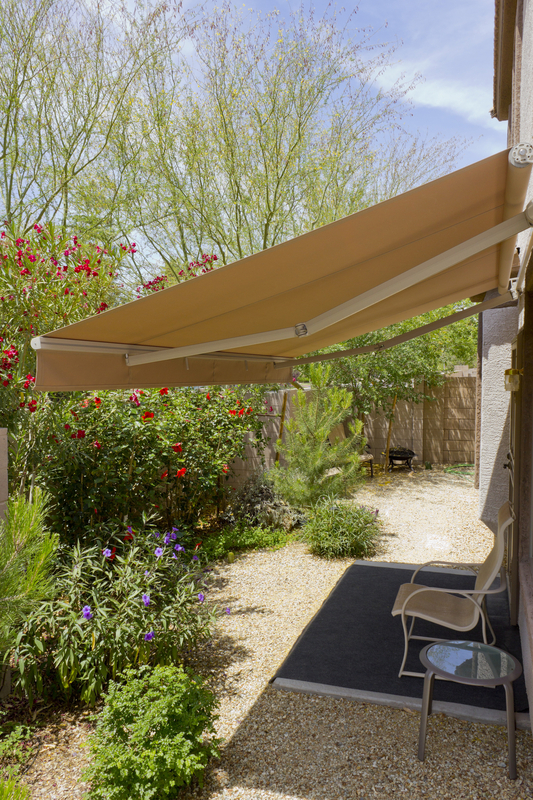 Here's a breakdown of the benefits of having a motorized awning system. Awnings give you more space to entertain or work. Install one in your backyard and immediately expand your odds of having a successful outdoor party. Install an awning over garage doors and have enough space to park another car or work on your DIY projects. A motorized awning can also protect outdoor furniture from rain and snow and blocks harmful UV rays that can damage your flooring and soft furnishings. Enjoy your morning coffee in the rain, then retract the awning when the beautiful afternoon arrives. On hot days, you can spend time under its shade without worrying about getting sunburn or skin cancer. Installing an awning over garage doors or your patio extends your space, and having a larger area means higher equity for your property. Prospective owners love the idea of a bigger space that lets them enjoy being outdoors without worrying about the weather. Awnings lessen the amount of heat going through the windows as well as front doors and garage doors, helping to reduce your interior cooling costs during summer. Conversely, retracting your awnings during winter allows more sunlight to enter and warm your house. Motorized awnings save you money because they suffer less unnecessary exposure to the elements. They can be retracted so that snow and ice don’t build up and weigh down the canopy in the winter. Retracting the awnings also prevents them from warping or becoming unhinged during windy days or developing rust from excessive rain. Enhance the beauty and usability of your garage doors and patio with a motorized awning installation from Original Triad Door Company. Located in Kernersville, NC, the family-owned company carries a wide range of residential and commercial garage doors. They also handle door and awning installation or repair. Check out their website or call them at (336) 841-0629 for more information.